Updated Friday April 19, 2019 by Nipmuc Youth Baseball. 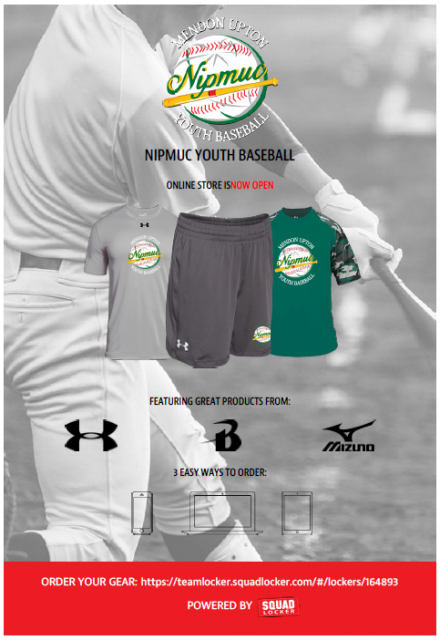 GEAR UP THIS SEASON WITH NIPMUC YOUTH BASEBALL APPAREL! !